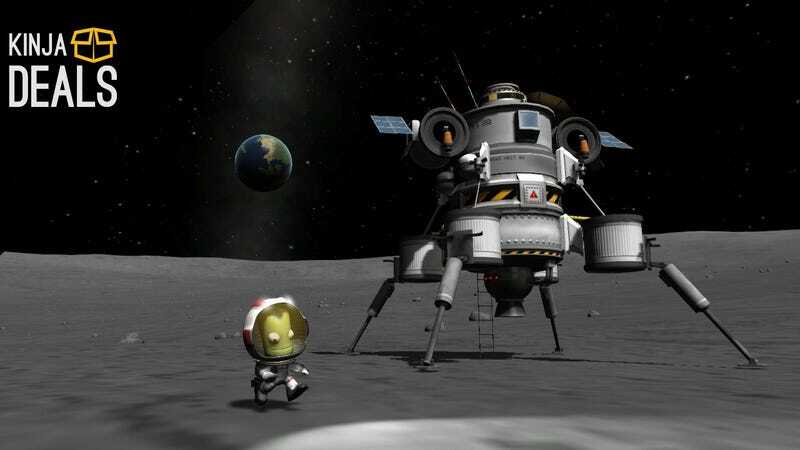 Landing on Mun for the first time in Kerbal Space Program is probably one of my top 3 all-time personal gaming moments, and I can’t recommend it highly enough at $24. [Kerbal Space Program, $24] Commerce Content is independent of Editorial and Advertising, and if you buy something through our posts, we may get a small share of the sale. Click here to learn more. Now that you’ve see The Force Awakens, you can keep the Star Wars excitement rolling with great deals on Disney Infinity sets. littleBits kits are a great way to learn about electronics while building your own gadgets, musical instruments, or smart home accessories, and Amazon is offering all-time low prices on several starter packs, today only. A ton of great iOS and Android games are on sale today, including Final Fantasy titles, Surgeon Simulator, the Infinity Blade Trilogy, and more. Find them all in our app deals post.